CHANCE OF FLARES: Solar activity is low, but the quiet could soon be interrupted by an M-class solar flare. Fast-growing sunspot AR2390 has an unstable 'beta-gamma' magnetic field that harbors energy for moderately strong explosions. 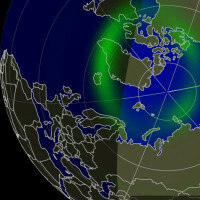 Any such flare on July 27th will likely be geoeffective because the sunspot is directly facing Earth. Solar flare alerts: text or voice. A truly-blue Moon usually requires a volcanic eruption. Back in 1883, for example, people saw blue moons almost every night after the Indonesian volcano Krakatoa exploded with the force of a 100-megaton nuclear bomb. Plumes of ash rose to the very top of Earth's atmosphere, and the Moon became an azure-colored disk. Krakatoa's ash was the reason. Some of the plumes were filled with particles 1 micron wide, about the same as the wavelength of red light. Particles of this special size strongly scatter red light, while allowing blue light to pass through. Krakatoa's clouds thus acted like a blue filter. People also saw blue-colored Moons in 1983 after the eruption of the El Chichon volcano in Mexico. And there are reports of blue Moons caused by Mt. St. Helens in 1980 and Mount Pinatubo in 1991. Forest fires can do the same trick. A famous example is the giant muskeg fire of Sept. 1953 in Alberta, Canada. Clouds of smoke containing micron-sized oil droplets produced lavender suns and blue Moons all the way from North America to England. 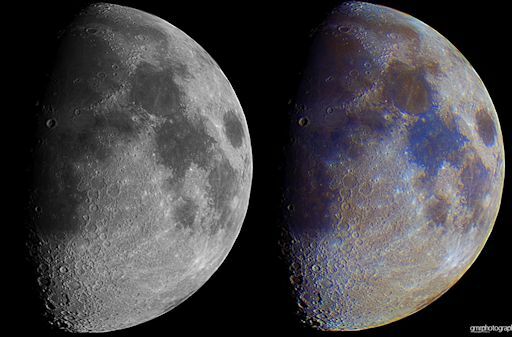 At this time of year, summer wildfires often produce smoke with an abundance of micron-sized particles–just the right size to turn the Moon truly blue. Sky watchers in western parts of the USA and Canada, where wildfires are in progress, could experience this phenomenon. 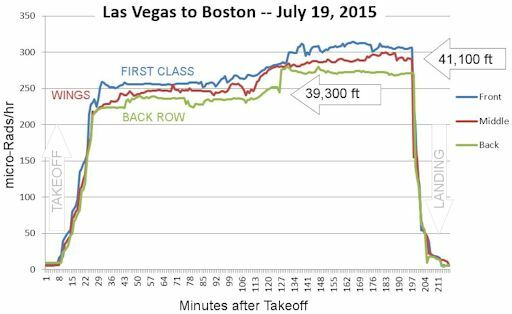 Radiation levels in the cabin of the Airbus 319 (Spirit Airlines FL640) tripled within ten minutes after takeoff, and were nearly 30 times ground level by the time the plane reached cruising altitude at 39,000 feet. Summing over the entire flight, the sensors measured about 1 mrem of radiation--similar to a dental x-ray. 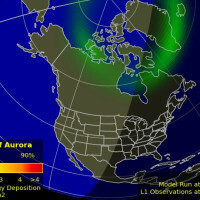 There was no solar storm in progress. The extra radiation was just a regular drizzle of cosmic rays reaching down to aviation altitudes. This radiation is ever-present and comes from supernovas, black holes, and other sources across the galaxy. 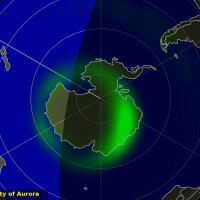 Solar activity modulates the intensity of cosmic rays. 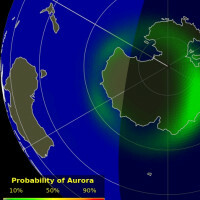 Gusts of solar wind and CMEs can actually cause radiation levels to drop by sweeping aside cosmic rays near Earth. Periods of low solar activity, on the other hand, allow radiation levels to rise. Solar activity is not the only variable: Radiation levels vary within the plane itself. Different-colored lines in the data plot, above, represent different locations inside the cabin. On this particular flight, dose rates were highest in First Class and lowest near the toilets in the rear. This gradient is not understood; presumably, it has something to do with the way the fuselage and fuel tanks interact with energetic particles. The altitude of the plane matters as well. When the cruising altitude increased about two hours into the flight, dose rates increased accordingly. All of these factors make radiation levels onboard airplanes unpredictable. Stay tuned for updates from the return flight. Every year, however, the alpha Capricornids are improving. According to the research of meteor experts Peter Jenniskens and Jeremie Vaubaillon, the debris stream is slowly drifting across Earth's orbit, so that each year our planet passes a little closer to its heart. The bulk of the dust will not be in Earth's path until the 24th century. If their predictions are correct, the Alpha Capricornids will become a major annual storm in 2200 - 2400 A.D., one that will be "stronger than any current annual shower." On Jul. 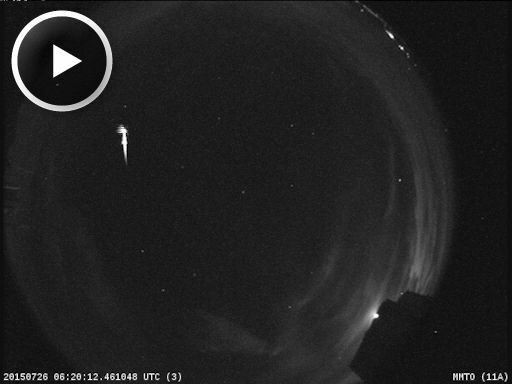 27, 2015, the network reported 10 fireballs. On July 27, 2015 there were 1602 potentially hazardous asteroids.